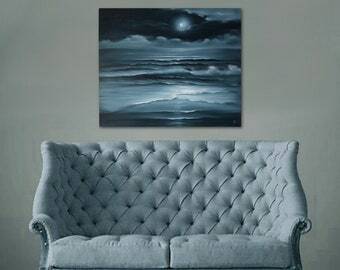 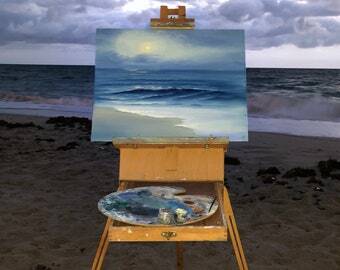 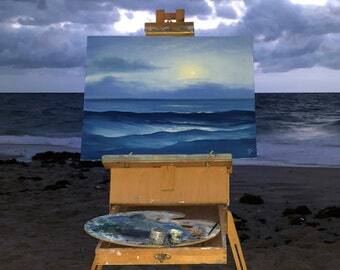 This full moon oil painting captures the beauty of the night ocean in the silver moonlight. •	Ready to hang, framing is not required. 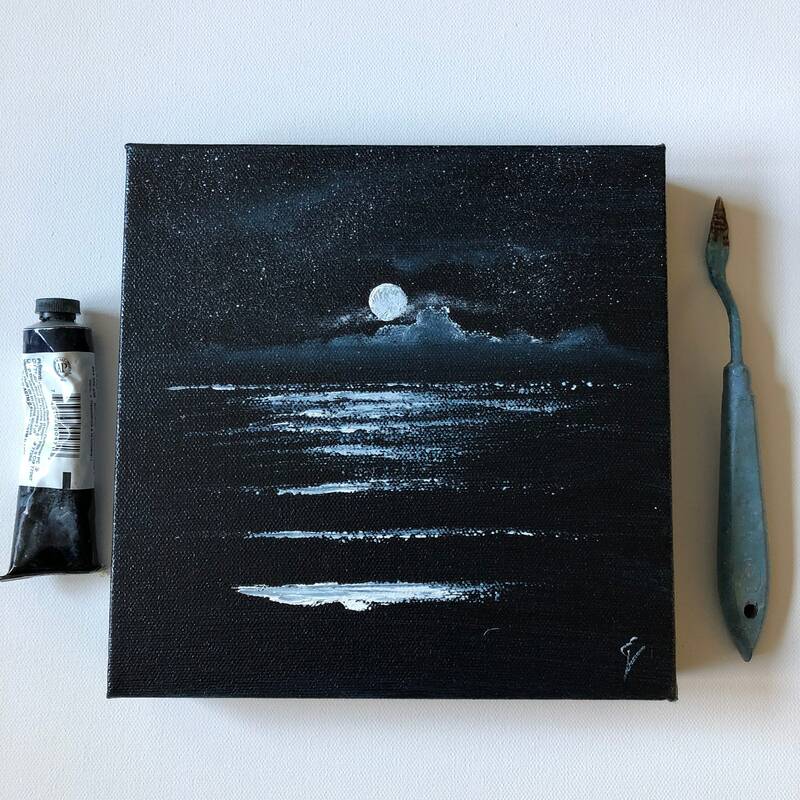 The sides of this deep gallery-wrapped canvas 8x8 inches are painted black, the artwork is signed and dated by me. 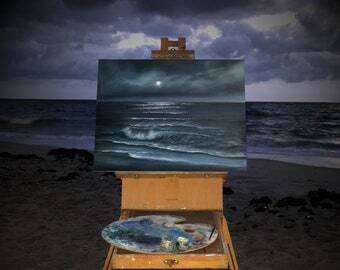 Shine On - Original Full Moon over the Ocean Painting 20x16"
Twilight Breeze - Small Plein Air Coastal Oil Painting on Deep Canvas 6x6"
Moon Elixir - Original Framed Full Moon over the Night Ocean Painting 20x16"
Lighting The Way Home - Original Framed Full Moon over the Ocean Painting 20x16"
Tender Sunrise - Small Realistic Ocean Waves Oil Painting on Deep Canvas 6x6"